Welcome to what will probably be my longest newsletter of 2019. Please feel free to skim the topics you care about. But I hope many of you will take the time to read the entire thing and watch at least some of the videos. I've tried to give an honest and complete account of the work I do as your Delegate on the busiest week of the year. This last week and the next one, the fate of most of our bills is determined. We delegates and senators have just one more week to get our bills passed out of committee in our respective chambers. Otherwise, our bills are dead for the year. This week, I presented 8 of my bills in various committees and subcommittees throughout the Capitol. It's always an uphill battle for any member of the minority Democratic party to get bills (and, in particular, important progressive bills) approved by the Republican majority. But with your help, this could all change in November. In 2017, Virginians voting in the House of Delegates (and in the statewide races) chose Democrats over Republicans by about a 55%-45% margin. But even after that Blue Wave, Republicans nevertheless still ended up controlling a 51-49 majority in the House of Delegates. The result was pre-ordained back in 2011 by racial gerrymandering, when Republicans in Virginia (and many other states) intentionally drew district lines to pack African-Americans tightly into a few districts in order to dilute their voting power elsewhere. After six years, the United States Supreme Court finally ruled the 2011 Republican gerrymandering scheme to be a violation of the Voting Rights Act of 1965. 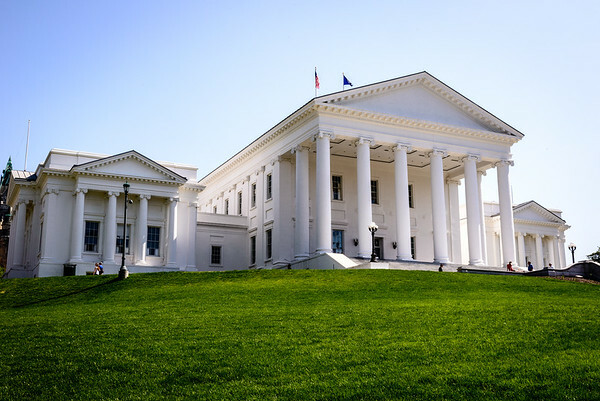 Although Virginia has lived under this illegal scheme for eight years from 2012-2019, a lower court has now drawn tentative lines for the 2019 elections that would far more accurately reflect the will of the People of Virginia. Unless overturned by the US Supreme Court on appeal (which seems unlikely as the vote striking down the original maps was 7-1), we will have new district maps in 2019. 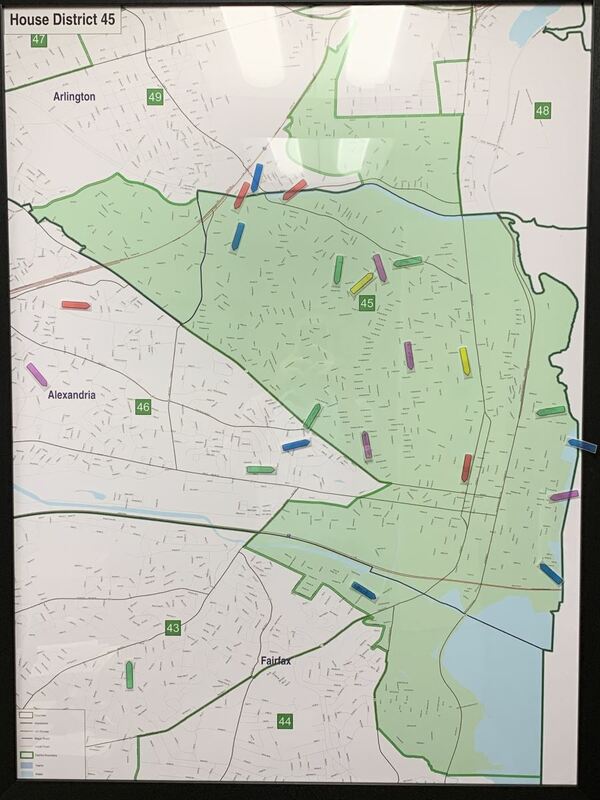 Expected New Delegate District Maps for 2019 affect Richmond and communities to the South and East. The tentative map shown above does not affect Northern Virginia, but it does change the boundaries of 26 delegate districts. The map should be formalized by the end of February, in time for candidates to timely file for the June 2019 primaries in March. About 99% of the bills that die in the Virginia General Assembly die in subcommittee and committee. Only 1% or so die on the floor. (That's why I have long insisted on cameras in the committee and subcommittee rooms.) But despite their clear thumping at the polls in 2017, Republicans decided that they would have not a majority but a supermajority on all House committees. Republicans used their 51-49 advantage to pass new rules in 2018 to declare that no bill would get to the House Floor unless it had support from at least two Republicans (joining with all Democrats) in both subcommittee and committee House votes. That means, in effect, that House Democrats often face Republican majorities of 4-2 (or sometimes 5-2!) in subcommittees, even though Virginians chose Democrats over Republicans by 55%-45% to lead the House of Delegates in 2017. That's right. Republican subcommittees have 67% or 71% representation: 25% higher than the 45% of Virginians who voted for them. But this could all change in November with new district lines that might finally allow the People of Virginia to democratically choose their elected leaders, rather than having the Virginia Republicans of 2011 continue to thwart democracy by firmly clutching the reins of the power against the will of We the People. But nothing is for certain. If Democrats don't turn out or if the Republicans use their 2-1 current money-advantage effectively, they could still be in control in 2020. 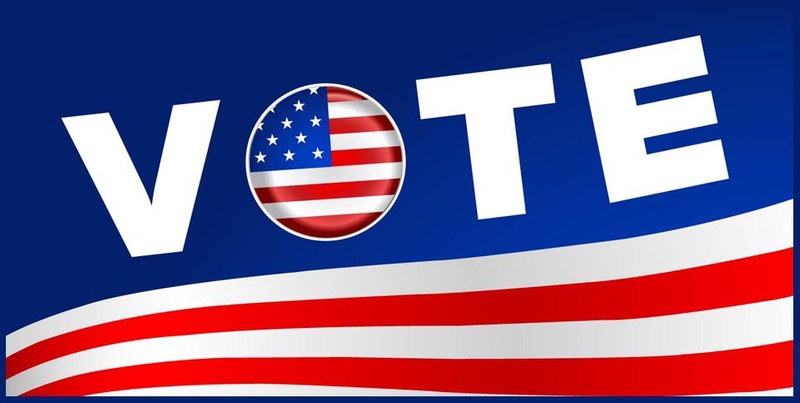 Whatever your political preference, I urge you to vote in November 2019. And in the June 2019 primaries. (Remember: it's the primaries where many elections are decided in Northern Virginia). We'll start with the good news. Three of my bills this week have passed subcommittee so far. And one of them passed full committee as well and will be heard on the House Floor next week. All three of them protect vulnerable people: the elderly with Alzheimer's; children of parents who have committed domestic violence and child abuse; and people of all ages who contract infections and diseases in health-care facilities. Last week, I told you about HB2430, my bill to allow Alzheimer's and other mentally incapacitated people to have visits from family members and other loved ones, unless good cause is shown to prevent these visits. The bill would prevent abusive guardians from withholding family contact for financial gain. You can watch the full HB2430 presentation here. 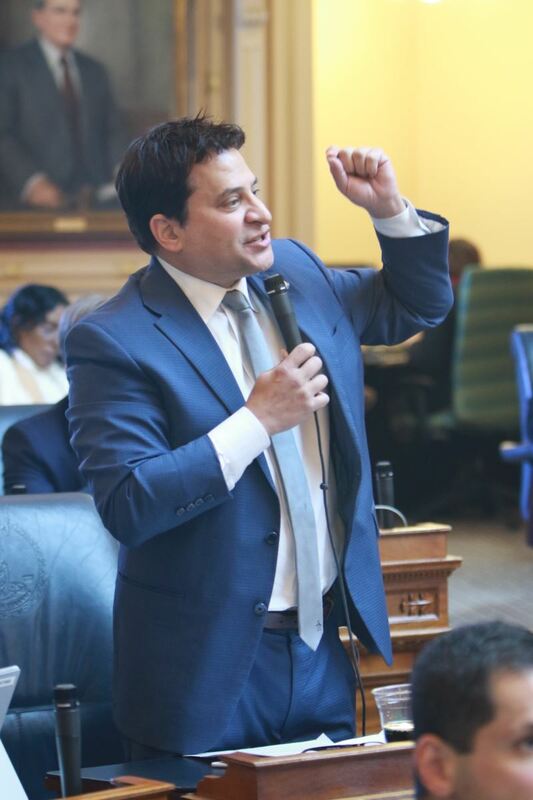 And if you missed reading the details about this bill last week, please be aware that I keep all of my newsletters on my website at MarkforDelegate.com so I invite you to go there and take a look at last week's newsletter. The bill passed a Courts of Justice Subcommittee by a vote of 5-1. HB2650 Tyler's Law, a bill I named after Tyler Strong, a Virginia boy who suffered horrific abuse after a court ignored horrific evidence of domestic violence to give his father custody over him, passed through a Courts of Justice Subcommittee on Monday afternoon by a 3-2 vote. Many of you know and remember this bill, as it is one of only two that I have introduced every Session that I have served in the House. Tyler's Law would allow courts to consider domestic violence and child abuse in determining the best interests of children in custody disputes. This bill came partly out of my own personal experience, when a Tennessee court found that the murder of my sister was not child abuse because she was not murdered in front of her children. That searing experience led me to draft my first law in Tennessee 20 years ago and was a big reason I sought elective office. 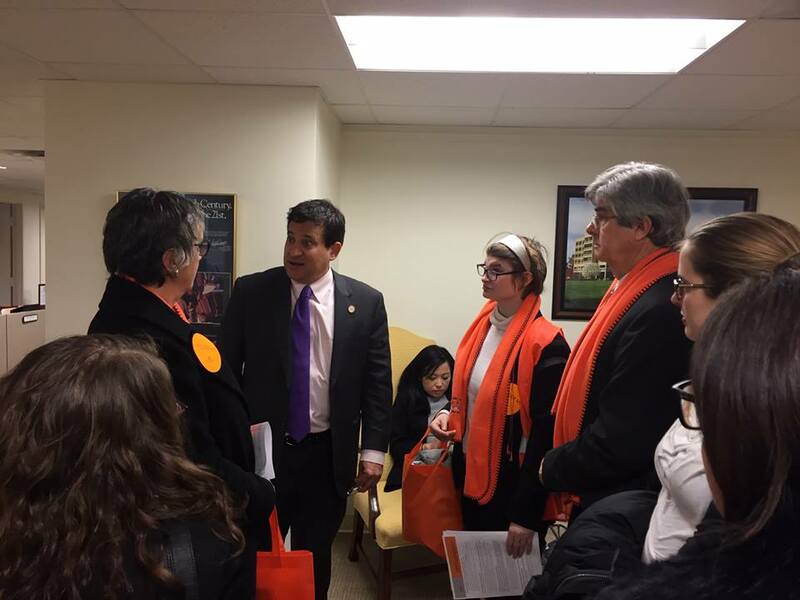 It's time we protect children of domestic violence in Virginia. My bill passed Subcommittee both last year and the year before but didn't quite make it past full Committee. Domestic violence and child abuse should never be a partisan issue. I hope the Members of the full Courts of Justice Committee can recognize this next week when they have an opportunity to send the bill to a vote on the House Floor. Click on the image above to watch my presentation of HB2650. HB2425 would require Virginia's hospitals, doctors, and other healthcare providers to report to the Virginia Department of Health infections and other diseases contracted in their settings. The ancient Hippocratic Oath taken by doctors promises to "do no harm." So when disease or infection is transmitted in a healthcare setting, Virginia authorities should know about it. Accidents do happen, but if a single healthcare facility is regularly causing its own patients to get more ill, Virginia should be on the alert. The bill passed unanimously out of both the Health, Welfare, and Institutions Subcommittee and again on the full Committee on which I sit. Next week, it will be headed for a vote on the Floor of the House of Delegates. Click on the image above to watch my presentation of HB2425. HB2424 would have required localities wanting to employ police body cameras, to establish a written policy governing them, subject to public comment and review. 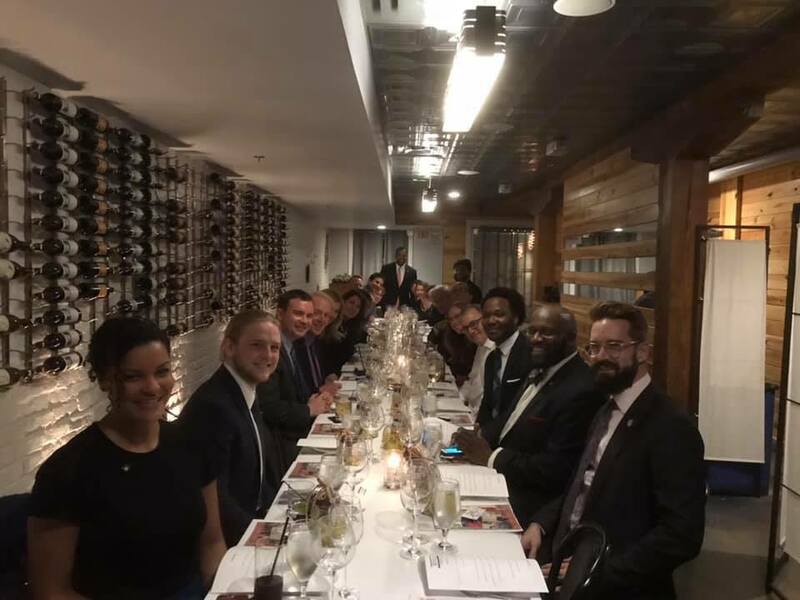 The locality would then have been required to follow identified best practices, using as guidelines the model policy developed by the Virginia Department of Criminal Justice Services. This is one of those rare criminal justice bills that had the support of both the NAACP and the Virginia Sheriffs' Association. Status: Voted down 3-2 by a Militia, Police, and Public Safety Subcommittee. One Republican and one Democrat voted yes, but three Republicans voted no. Republican Delegate Emily Brewer hesitated a bit before casting her vote. 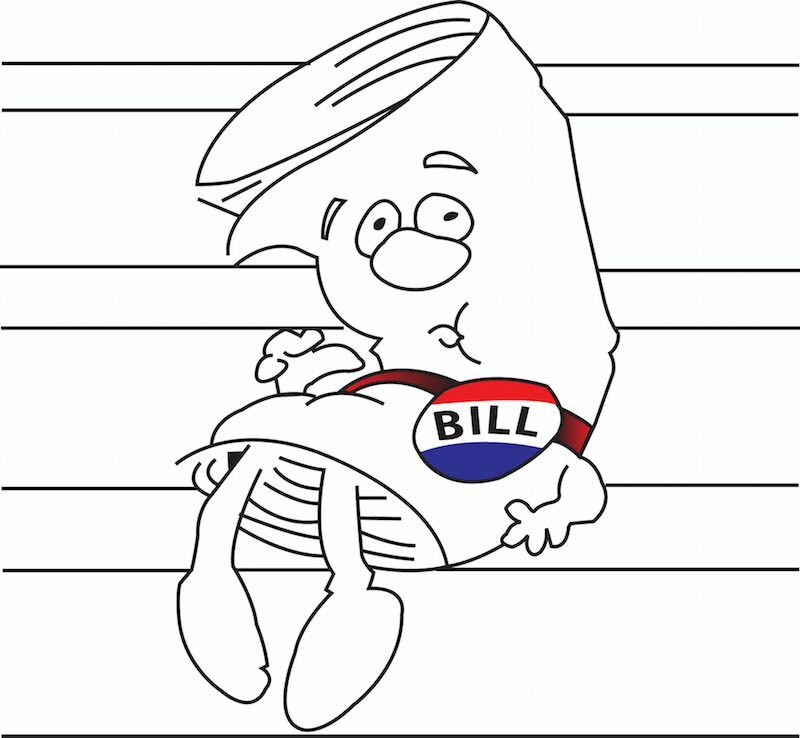 Often bills live or die by a split-second decision by a single lawmaker in a subcommittee. Click on the image above to watch my presentation of HB2424. HB2427 would have required healthcare providers to disclose the cost of non-emergency medical services prior to performing those services. This would have allowed consumers to save money and avoid unwelcome surprises (as as when their insurance doesn't cover a service they think it does). Given that the vast majority of American bankruptcies are due to unexpected healthcare costs, this is an important and necessary bill. With the amendments, my bill had the support of all the medical professionals: the doctors, the hospitals, and the insurance companies. But that compromise was not enough for five Republicans on the subcommittee. These Republicans argued against the medical professionals who defended my bill. They said that doctors, nurses, pharmacy benefit managers, insurance professionals, and other professionals with high-level degrees just couldn't figure out an estimated cost of a medical service. They felt it was up to the patient (my hypothetical 89-year-old woman with Alzheimer's) to figure it all out! And if an unsophisticated patient couldn't figure out what people with lots of degrees claimed was beyond their capacity and lost their life savings from a surprise bill and went bankrupt? They considered that the patient's fault! Status: The bill failed to pass out of a Health, Welfare, and Institutions Subcommittee on a 5-5 vote. Four Democrats and one Republican voted to pass it. The other five Republicans voted no. Click on the image above to watch my presentation of HB2427. But here's the good news. A very similar bill by Republican Delegate Kathy Byron, HB2639, introduced the day after my bill was printed, unanimously passed out of subcommittee and committee. While Republicans had all sorts of problems with my bill, they were pleased to join Democrats in support of her bill. Many Democrats complain when Republicans "steal their bills." But I consider imitation the sincerest form of flattery. I don't care who "takes credit." I care about getting good bills passed into law to help Virginians lead better lives. And health-care transparency will help a lot of Virginians know the cost of health care before getting an expensive bill. Besides, if we Democrats take the majority next year, I can then easily improve the law further and create even greater price transparency. HB2426 was a similar transparency measure, which would have required pharmacies to disclose the cost of a medication prior to dispensing it. This is not only transparent and fair; it would increase competition and allow consumers to make the most price-conscious choice. I worked with the Virginia Pharmacists Association to get their support for the bill. Unfortunately Republican Delegate (and pharmacist) Keith Hodges insisted the bill was unworkable, even though it explicitly provided for a refund of charges pharmacists pay to determine the cost of medicine when the patient decides to get a cheaper option somewhere else. And this bill regretfully had no Republican alternative (which, using the exact same language, would have almost certainly passed the partisan subcommittee). Status: Tabled by a Health, Welfare, and Institutions Subcommittee 9-1. Click on the image above to watch my presentation of HB2426. HB2631 would have allowed localities to set their own minimum wage. The cost of living is higher in Alexandria than in Abingdon. Why shouldn't our City Government be allowed to set a higher minimum wage? The bill did not require a single locality to raise the minimum wage and did not require a specific wage. I know the localities I represent (Alexandria, Arlington, and Fairfax) would quickly take advantage of the right to raise the minimum wage, but Republican-ruled localities could choose not to do so if they wanted. I even quoted Paul Ryan, who said, "government closest to the people governs best." Status: My arguments did not persuade Republicans, who voted the bill down 5-1 on party lines in a Commerce & Labor Subcommittee. 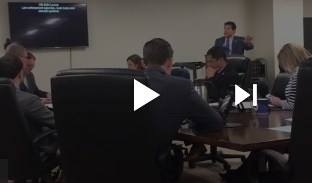 Click on the image above to watch my presentation of HB2431. HB2423 would have banned gender-based price discrimination at dry cleaners and laundries. This bill would have ensured that cleaners could charge no more for women's clothes than men's clothes (or vice versa), unless a particular article of clothing actually cost more for the establishment to clean. This bill idea was brought to me by a constituent of mine, Kinsey Liebsch, at Mark's Monthly Meetup. She, along with two other Alexandrians (Dr. Elizabeth Hendricks and Diane Scheerer), testified for it in Richmond. 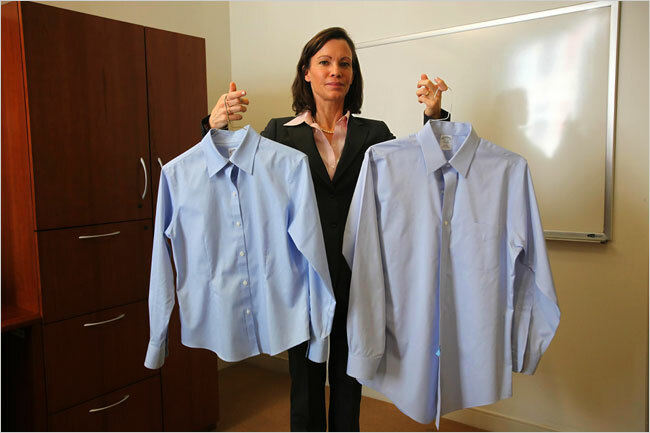 more for the blouse on the left than the shirt on the right. HB2423 would have prevented that. Status: Tabled 6-0 by an all-male Courts of Justice Subcommittee. Every woman I've talked to about this bill has said it was necessary. Every man I've talked to about it didn't realize it was an issue. (And, to be fair, I didn't realize it was an issue until Kinsey brought it to me.) If Democrats take over in 2019, I will try to ensure at least one woman sits on this subcommittee. This issue is just one tiny example of why we need the ERA. Click on the image above to watch my presentation of HB2423. Budget amendments and constitutional amendments work differently than regular bills. Instead of voting for or against a measure immediately after the presentation, the decision is made at a later time. Not only have I promised to record all of my bills in committees and subcommittees, I have vowed to get funding to support the recording of all bills presented and voted on in all committees and subcommittees throughout the entirety of each General Assembly Session. While my work as Founder and Chair of the Virginia Transparency Caucus (VTC) to get 1) all committee and subcommittee votes recorded and 2) all committees to be streamed and archived has been successful, we don't yet in Virginia 3) stream and archive all subcommittees. And we should. I won't rest until all three goals have been achieved. Filming subcomittees has the support of 85 Members of the House of Delegates and Senate. I have worked closely with my VTC co-founder Republican Senator Amanda Chase on this initiative. She and I disagree on most partisan issues, but we are steadfast allies on transparency. Click on the image above to watch my presentation of the budget amendment. Virginia is the only state that prohibits a sitting Governor from seeking re-election. If we like our Governor, why not allow the voters to give her or him a second term? On Wednesday I argued exactly this point before the Privileges & Immunities Subcommittee. HJ672 would amend the Virginia Constitution to permit the Governor of Virginia to be re-elected and to serve two consecutive terms. The Privileges & Elections Subcommittee is expected to vote on the measure tomorrow afternoon. It's a logical argument that every Virginian should embrace. But given the current Republican majority, this cause is, for now, still quite an uphill battle. Click on the image above to watch my presentation of HB672. HB2421 would comprehensively ban discrimination on the basis of sexual orientation and gender identity in employment, housing, public accommodations, banking, insurance, apprenticeships, and every other place I could find in the Code of Virginia. It has been referred to the Committee on Rules, which is where Republicans often place bills they want to quietly kill. The Rules Committee does not have scheduled meeting times but rather meets "at the call of the Speaker." Furthermore, Republicans have an overwhelming 11-6 majority in the Rules Committee. I have no idea what will happen here, of course, or even if the bill will be heard at all, but I should be able to tell you what happened in next week's newsletter. HB2642 would make it a felony to use cruelty toward animals to threaten, intimidate, or terrorize a household or family member. This is expected to go before the full Courts of Justice Committee next week. 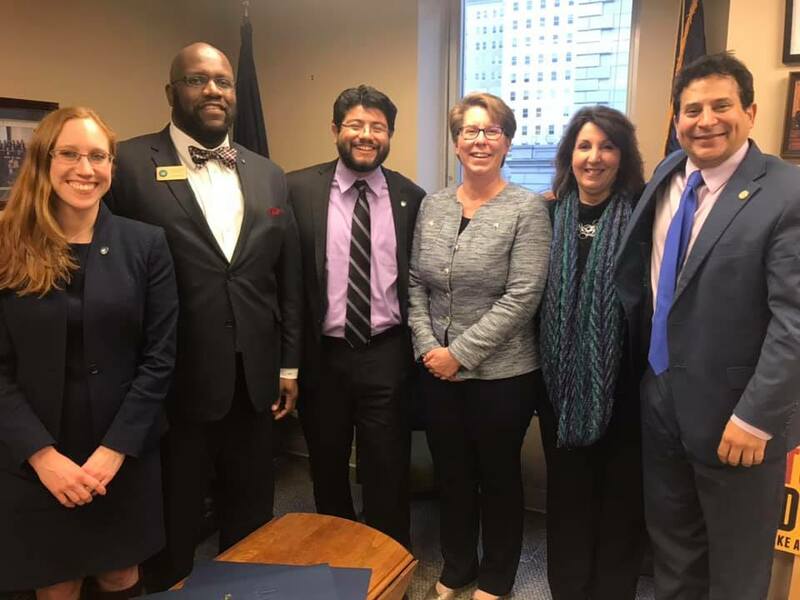 HB2695 would provide court victims-services to those seeking a protective order and other victims of domestic violence and similar misdemeanor crimes. I will present the bill before a Courts of Justice Subcommittee on Monday. HB2422 would change our national system of electing the President of the United States from the Electoral College to the National Popular Vote. This bill would enter Virginia into an interstate compact and not require a Constitutional Amendment. If the bill succeeds, we will only need states comprising 85 more electoral votes to end this scourge on American democracy forever. I expect the bill to be killed on a party-line vote by the Republican-led Privileges & Elections Committee next week. 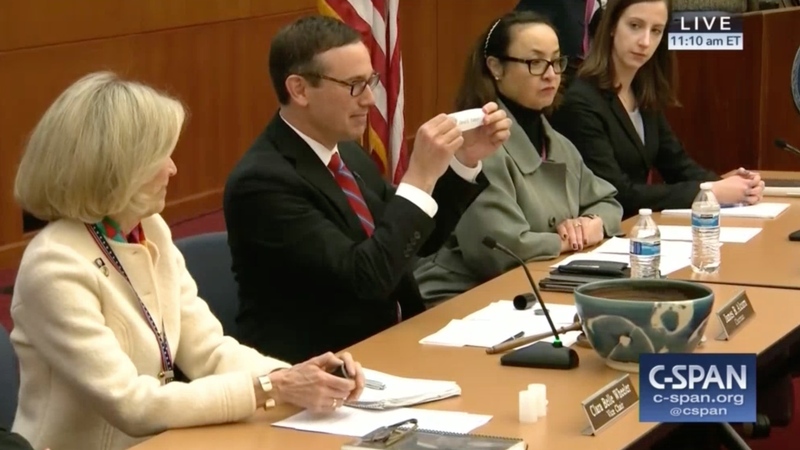 HB2757 — The "Protect Shelly Simonds Bill" — would firmly clarify in recount procedures that no candidate from either party should be able to game the system and unseal previously sealed boxes during a recount to "find" more votes. If this bill becomes law, it would make clear that any concerns someone has with a vote must be addressed at the time the vote is recounted and not at a later time when it might serve some candidate politically. You may recall in 2017 that after Democrat Shelly Simonds won her election by one vote (putting the House of Delegates at 50-50) and after her recount was completed, lawyers for her Republican opponent reopened sealed ballot boxes and scrounged around to find one more vote that they had earlier agreed was spoiled and uncountable. On the basis of that one "rediscovered" vote -- the equivalent of scoring a goal hours after the timeclock had run out -- Republicans brought Simonds' election to a tie and then, following their lucky draw from an ornate bowl, obtained their razor-thin 51-49 majority in the Virginia House of Delegates. What a difference a vote makes! Had one more person voted for Shelly, if Republicans had respected the final recount result, or if, by chance, Shelly's name been drawn from the bowl, we would have had a 50-50 partisan makeup of the House of Delegates. In that case, we would have had equal representation on committees and subcommittees, and important measures -- like the Equal Rights Amendment, minimum wage, and paid family medical leave -- would have come to the Floor for an up and down vote where they would have passed into law. Instead such measures this year have already been killed in committee. And I have one more bill, tabled in subcommittee, that I hope to bring back off the table next week. HB2429 would allow courts to consolidate protective order hearings with a defendant's related criminal offense. Under current law, everyone must attend an unnecessary hearing to get this consolidation, which happens 99% of the time. Although the bill was tabled by a Courts of Justice Subcommittee, I have worked with the Supreme Court of Virginia and a Republican delegate on the committee to craft the language in a way that should satisfy everyone. The amendment does not change what is in the underlying bill but does have more clarifying language. This bill would help thousands of people seeking a protective order and thousands of people subject to a protective order who would not have to attend or pay attorneys to attend a hearing that is unnecessary 99% of the time. It would also promote judicial efficiency and allow judges more time to concentrate on other matters. Click on the image above to watch my presentation of HB2429. Just One Week Until Crossover! By next Friday, every single bill introduced in the House of Delegates must pass the full House committees in order to have a chance at becoming law. Then on Monday and Tuesday, February 4 or 5, we will have a "votearama" on the House Floor, where we will consider hundreds of pieces of legislation. By midnight, February 5, every bill that does not pass the House of Delegates dies. Then, from February 6 to February 23, we will consider the budget and bills that passed the Senate. Session will be over just four weeks from today. Every Sunday until the final end of Session wrap up newsletter on February 24, I will let you know all the many sundry things — the good, the bad, and the ugly — that happened during the week. Just check your email. And of course, as the Founder of the Virginia Transparency Caucus, I have pledged to record every discussion and vote on every bill that I present on the floor or in a committee or subcommittee. I have posted all video thus far in the weekly newsletter and on my Facebook and YouTube pages and will continue to do so through Session. In legislating, as important as it is to write and advocate for important new laws, it is equally vital — if far less glamorous — to carefully examine legislation to find concealed flaws, bring those flaws to light, and ultimately block bills that would harm the people of Virginia. In my four years of service here, I have often played the informal role of "Caucus Goalie" — scouring the text of complicated bills that seem innocuous on their face to find dangerous policies hidden underneath. Time after time, I have jumped in front of the goal to stop an uncontested bill from flying undetected into law, flagged the hidden harm, rallied my fellow Democrats, and brought notice to a Governor who could then veto the seemingly innocent but ultimately harmful bill. 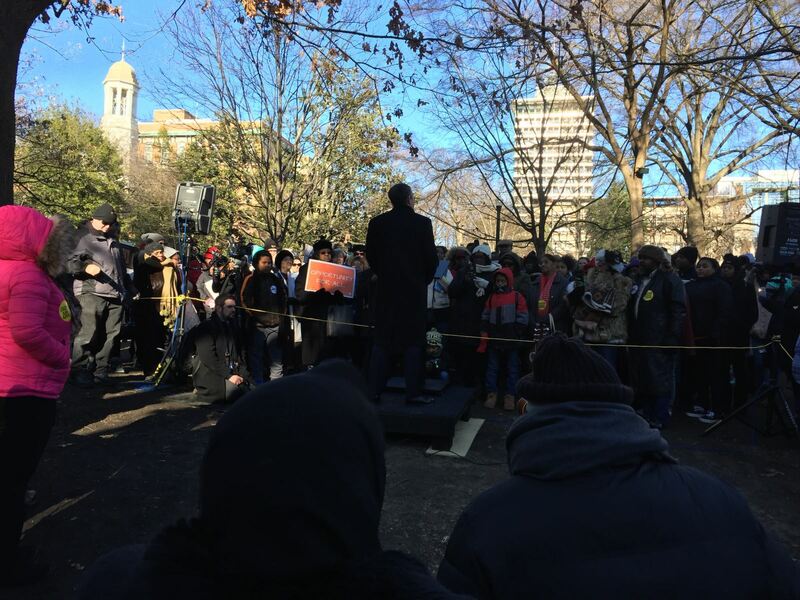 In fact, Governor Terry McAuliffe specifically mentioned my role in doing this last month. One of the not-so-difficult questions from a Virginia concealed-carry test for non-residents. Any smart six year old could pass this test without reading the questions. All you have to do is mess up, write down the answers you got wrong, and then re-take the same identical test. You don't have to ever have seen or handled a gun to get a concealed carry permit in Virginia. Do we really want this to be the standard? With standards this ridiculously weak, why are we pretending there is any standard at all? By the way, when you empty a handgun, there is still a bullet in the chamber. That life-determining piece of information has been overlooked or unknown to hundreds of people who lost their lives because they mistakenly thought their guns were not loaded. I'm sorry to report that vital fact was not mentioned on the Virginia multiple-choice test. People in 30 different states use Virginia to get around their states' far more stringent requirements. Here in the Commonwealth, you don't need to know much of anything to get a permit, nor are you required to have even held a gun before. Delegate Pogge's bill allows non-residents to get their permit at the expense of Virginia citizens. Click below to watch our exchange. without complying with their own states' far more stringent requirements. I don't just introduce my own legislation. I also thoroughly review, question, and vote on bills other Members introduce as well. it's also my responsibility as Deputy Whip of the Democratic Caucus. This big crowd includes parents concerned about their ability to stay involved in cooperative preschools. I was overwhelmed by how many of you called and emailed in support of HB2258. I heard you — Your support helped encourage me to vote yes! It was encouraging to see so many of you show up in support of the Equal Rights Amendment. As you may know, I not only supported the ERA, I signed on as a co-patron. But Republicans killed it on a party-line vote in the Privileges & Elections Committee. between the Capitol and the Pocahontas Building for the annual Gun Violence Vigil. joined me at Our Revolution's Amazon Town Hall last weekend in Alexandria. Lee and I don't see eye to eye on the Amazon deal, but we still work together well on many issues. and a special thank you to every one of you who attended! You all came prepared with lots of questions that I did my best to answer. Sometimes the gathering at Mark's Monthly Meetup is a small group of concerned residents. Other times, we occupy the entire room. Either way, I always appreciate getting to hear from each of you. You asked great questions as usual and highlighted many of the issues that I have been fighting for. Our next monthly meetup will be on Sunday, February 24th — the day after Session ends! No matter how busy it gets, it's always really important for me to set aside some time to chat with those of you who stop by my office, whether you're advocating on behalf of a particular cause or a constituent stopping in to say hello. Representing each of you — and the issues that are so important to you — is what makes me love what I do. My friends at the Arc of Northern Virginia, which advocates for Virginians with disabilities. healthcare transparency bills (HB2426 and HB2427). And they did! This is the map on the wall of my office. If you're in town, please stop by and mark where you live. 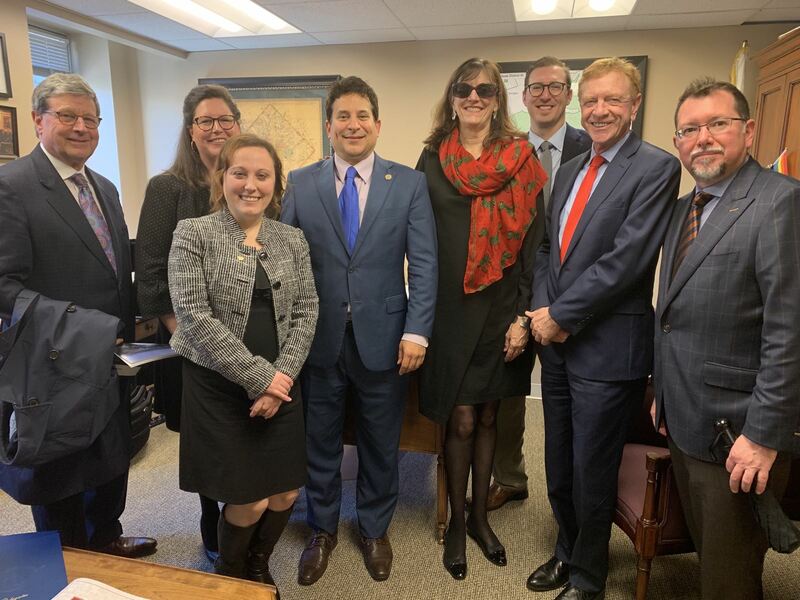 This is my 2019 General Assembly Session team! Legislative Counsel Snapper Tams; and Chief of Staff Jacob Weinberg. Barrett Fife is a lifelong resident of Alexandria and has been working for me for more than two years. She began at age 16 as an intern in my office and is now my aide during the legislative session. Barrett, like the rest of my talented team, works very hard and very well. She is a freshman at the College of William & Mary, intending to major in Government and Public Policy. Barrett wrote this beautiful and humbling letter below. I have not edited a single word. Since his first term as the 45th District’s elected representative, I’ve been very fortunate to work for Virginia State Delegate Mark Levine. The vast majority of my time with Delegate Levine has been in Alexandria, where he spends nine to ten months of the year. During that span, I’ve had the opportunity to assist with a vital part of his job: talking to constituents, attending local events, and helping to determine what needs improvement in Alexandria, Arlington, Fairfax, and around the state of Virginia. 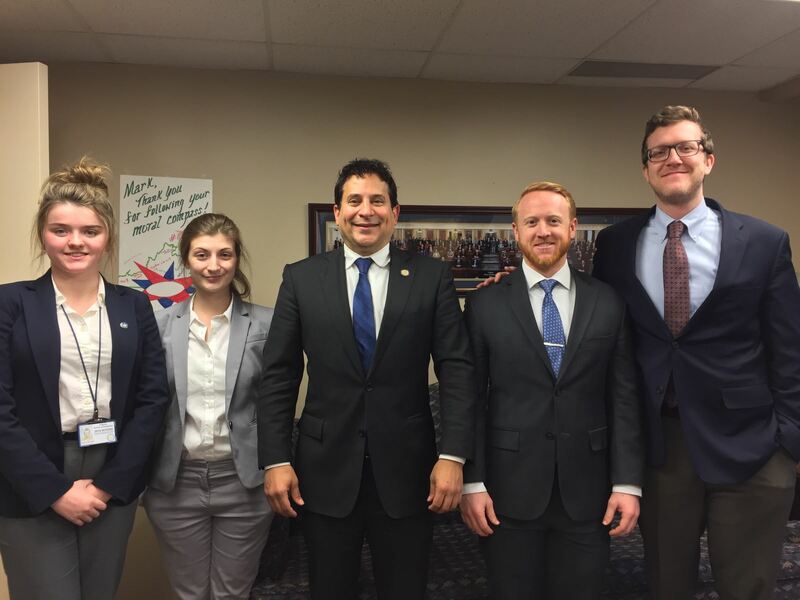 With an indefatigable spirit and work ethic, Delegate Levine pursues his job with zeal, always making himself available to constituents and filling his schedule to the brim. I’ve learned much by his example of drive and passion. Since starting college in September this past year, I haven’t been able to continue my work for him in Alexandria. Fortunately, Delegate Levine has given me the opportunity to assist him in Richmond at the General Assembly. As excited as I was going into this new experience, I assumed that all the hours I’d logged in with Mark had given me a pretty clear understanding of what to expect. I thought I’d already born witness to all the effort and dedication required of being a state delegate. I thought I’d seen it all. I leave my college campus every Tuesday and Thursday morning around 6:45am to arrive in Richmond by eight. When I walk into the office, Mark and his team are already hard at work, and not in that “I just arrived and am still processing my first cup of coffee” way. By the time I get there, with the sun barely risen, Delegate Levine has attended multiple committee, subcommittee and caucus meetings. No doubt he's already begun the apparently never-ending task of talking with the innumerable constituents floating in and out of his office, all the while studying the hundreds of bills he receives each and everyday. Yes, it’s as overwhelming as it sounds. One of the things I’ve been most lucky to witness during my time in Richmond is seeing just how hard Mark fights. He tirelessly battles for Alexandrians, for justice, for everything he believes in. He watches many of his reasoned, judicious, and necessary bills—work that would be bipartisan in a different legislative body--die in committee, and yet he shows little discouragement. Without hesitation, Mark shakes off the frustration of a government that often puts corporate donations and partisanship above its citizens. Instead of dwelling in what would be understandable disappointment, he turns to his calendar and to his list of bills, focusing on the battles which lie ahead. It’s been a pleasure and my great fortune to work alongside Mark these past two years but a true honor during the past month. I wish his constituents were able to see just how hard he works on their behalf, how late he stays in the office after all his colleagues have gone home, how many hours he spends at his desk pouring over legislation or listening to the concerns of people from across the commonwealth. Delegate Mark Levine has proven himself time and time again to be the epitome of what it means to be a civil servant. Now, it’s our turn to help him. These next months leading into the November 2019 election could not be more crucial. In 2017, our state made amazing strides in switching from red to blue, and we almost crossed the finish line. Now, we are ​two seats away from a Democratic majority in the House of Delegates and in the State Senate. 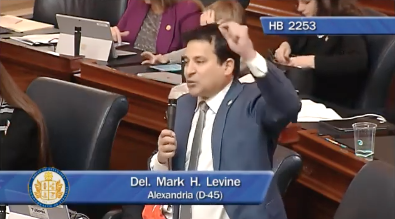 Delegate Levine continues his relentless work undeterred, battling against the Republican blockade obstructing his path. Let’s just see what unbelievable strides he’ll make once we get that obstacle out of the way.